Gordon’s Viking Sewing Center “Hands-On” Workshops are designed to teach you the full use of your sewing machine. All supplies are furnished; you bring only your machine, accessories, foot control, power cord, scissors and something to take notes with. Classes are included with your machine purchase from us (Gordon’s Viking Sewing Center of San Jose)*. Pre-Registration is required to assure your place in class. Class dates and times vary each month and are subject to change. Calendars are available at our store and downloadable on our website. Please ask when in doubt as to which classes are available for your specific model. Each 2 hour workshop will help to increase you knowledge beyond “just the basics” of what your Viking sewing machine can do. In these classes we cover different techniques using specialty and basic sewing machine feet and accessories. These classes include “Hands-On” - you and your sewing machine participate with your machine and Demonstrations. It is you, your machine, a pair of scissors, and something to take notes with. We supply the rest. We currently do one Workshop a month and rotate through. You do not have to start at Workshop 1 as each class is designed to increase your skills and answer your questions. Viking EPIC, Designer Diamond Series, Designer Ruby Series, Topaz Series, Sapphire Series, Opal series and Jade Series. One (1) Four hour class or two(2) two hour workshop. The Basic workshop teaches the general use of your Husqvarna Viking sewing machine. Threading, straight stitches, basting, three-step zigzag, buttonholes, hemming, utility seaming, fabric knowledge and machine maintenance. Once you have completed the Machine BASICS you may register for the Beyond Basic Workshops. Instructions are on a one-on-one basis.The length of time varies according to the machine. This class is currently set up to work with each individual on a one-to-one basis. Learn how to set up and use your Viking serger. The number of lessons depends on the model you have purchased. Please check the calendar for dates and times. A laptop and mouse are required. Please call us if you do not have a laptop or cannot attend the scheduled classes. We will do our best to work with you. The basics taught will depend on the level of the Embroidery software that you have purchased. For our software customers that still have 6D, 5D, 4D we can still help you as long as you have a laptop with your software installed and the dongle. Education plays an important role in our “Quality Matters” policy. The more you know the more you can create! 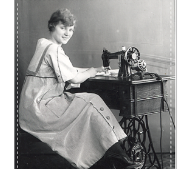 With your sewing machine purchase we include free lessons* on the use of your machine. We also offer fee-based basic, advanced and specialty sewing classes, free demos, and special interest seminars. Sewing Machine Basics- Other Brands- Do you have a sewing machine other than a Viking and would like to learn how to use it? Learn how to set-up and do basic stitching on your sewing machine. The sewing machine must be in good working order. Sewing Machine Basics- Husqvarna Viking Sewing and Serger Machines- If you purchased your machine(s) elsewhere and would like classes to learn the basics and more. . . Please call our store for information. We have formal Machine Basics and Machine Workshops that are scheduled on a monthly basis.